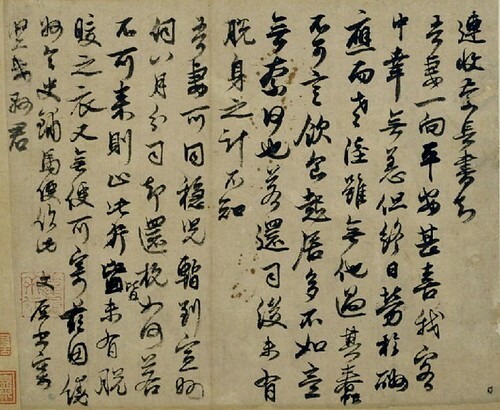 Deng Wenyuan (鄧文原, 1258-1359) was a calligrapher of the Yuan Dynasty. He was born in Mianzhou (綿州), Sichuan. From 1290 onwards, he spent most of his life in Hangzhou (杭州), Zhejiang. He held various official posts, including some which demanded his presence at Court in Beijing. 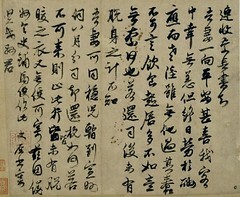 Deng was a skilled calligrapher who practiced regular, semi-cursive, as well as cursive scripts. In his youth he studied the Two Wangs (Wang Xizhi 王羲之, Wang Xianzhi 王獻之), and later shifted his interest towards Li Yong (李邕). 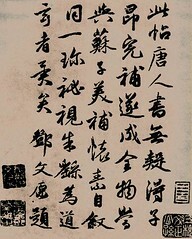 Nevertheless, Li Yong’s calligraphy was also based on the styles of the two Wangs. 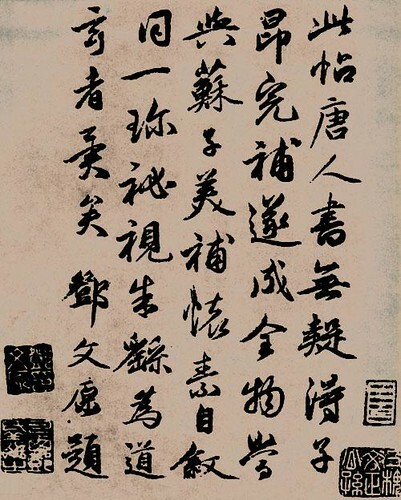 Deng’s semi-cursive script was also influenced by Zhao Mengfu (趙孟頫).